Why INDATA – Indata d.o.o. 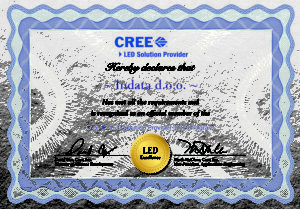 Indata is recognised as an official Cree Integration Solution Provider. Integration Solution Providers offer a full range of LED lighting-system solutions and design assistance. Their expertise can help accelerate time-to-market and reduce product-development costs. Apart from this services our R&D work is complemented by an inhouse pick and place production line, using Europlacer, Spreedprint and ERSA machines. 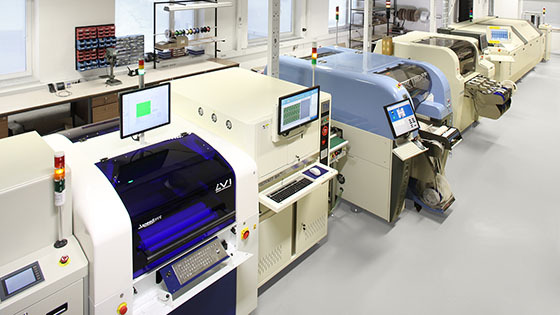 The production line can equip PCB boards with elements at speeds of over 10,000 elements per hour and guarantees the customer the IPC standard of quality. This means our advantage is the ability to create solutions from ideas to end products.